1. Filipina girls are renowned for their beauty. They surely stand out among Asian women in terms of charm and femininity. If you think other way you probably have never seen Angela Perez Baraquio – the first Asian American and Filipino American who was crowned Miss America 2001 and Miss Hawaii . 2. Filipino girls are a delight to be around because of their disposition and personality. Since birth Filipinas are raised in a special sense of honor called Delikadesa (or Delicadeza). Delicadeza is a Spanish term which when translated in English means daintiness. It is defined as a sense of propriety, an act of being refined or delicate in tastes and manners. It is Delikadesa what gives Filipino women such admirable qualities and distinguish them from Western ladies. You will never find a proper Filipina bring shame onto herself and her family by lying, cheating, stealing, running around with different men or flunking out of school. It is one of the meanings of Delikadesa – pride in doing the right thing. 3. Filipinas are understanding, patient and composed. Most Filipina girls would never engage in a quarrel or a loud argument simply because this wouldn’t suit a real Lady . They are taught to speak politely, with a gentle tone of voice. Arguing is just not acceptable, along with public criticism. This soft spoken, quiet and understanding nature of the Filipina Ladies is the desired trait that Filipinas strive towards. 4. Filipina girls are generous and naturally caring and supportive. The common spirit of survival has united the Filipinos for centuries making generosity and loyalty towards family a time-honored tradition. The caring and supportive nature of the Filipinas is apparent in the fact that there are no booming businesses for retirement homes or orphanages in the Philippines – they would never abandon a child or a member of the family in need. 5. Filipina girls believe in a one-man one-woman relationship. Since there is no "absolute divorce" in the Philippines , Filipinas are raised in a high regard for the sanctity of marriage and consider it a life long commitment. Some, in fact many who marry these Filipina beauties, swear they make the best wives in the world – loyal, loving and faithful past death. 6. Filipina women put family first before money. Faithfulness to the family is a tradition that is characteristic of the Filipino society. To the Filipina, family will always remain a great priority. Filipi no women , whom many would consider as coming from a relatively poor country, view the close loving bonds of their f amily as their wealth. They are more willing to sacrifice career than a family. 7. Filipinas are excellent home keepers. Filipino ladies equate domestic responsibility with being a good wife – their home is a great source of pride for them and they do their best to create a warm and loving environment for their family. For the Filipina even yelling at home would mean de-facing her home so you will probably never find a Filipina woman screaming or breaking dishes. 8. Filipinas are well educated. The Philippine culture attaches great importance to college education. Pride in accomplishment at school is instilled in Filipinas since their childhood and female college enrollment even exceeds that of the male. This affects the social positions too. Unlike other Asian countries where women tend to be in more subservient positions, the Philippines businesses are more accepting of women performing business. This is apparent with the current Philippine president Gloria Macapagal-Arroyo – the second Philippine woman to hold this esteemed position. 9. Filipino girls are religious. The Philippines is predominantly Roman Catholic ( the only Christian nation in the Far East ) and it is common amongst Philippine families to raise their children in the church. So don’t be surprised if your Filipina girl is more devoted to her religion than you are to yours. 10. Filipina-American marriages are more successful than American-American marriages. An interesting fact is that according to the statistics Filipina-American marriages arranged through dating services have a lower divorce rate (about 20%) than the standard American- American marriage (about 40%). Still, the statistics may vary according to which source you use. Jonas Patterson is a retired American living in the Philippines. 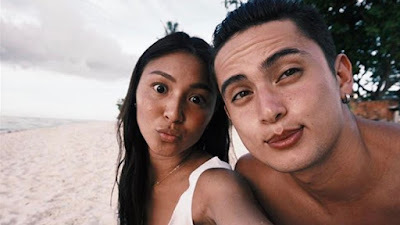 He and his Filipina wife Kristine have found their happiness the hard way and they have established a Filipino dating site where you can find free everything you need to know about Filipino women, their culture and the famous Filipina personality.